Lemon Leaf carries many of the qualities of the Lemon fruit, combined with the qualities of the herbs called Lemon Grass and Lemon Mint, (both of which smell like Lemon but are actually not related). We are one of the leading suppliers and traders of Lemon Leaves. The offered lemon leaves are very commonly used for both the culinary and non-culinary purposes. 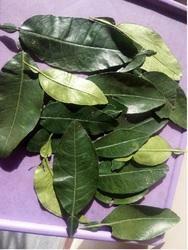 Our supplied lemon leaves are highly liked for the use in cooking and baking. The offered lemon leaves are key ingredients of lemonade drinks and foods. We have been able to offer our clients a qualitative range of lemon leaf. Lime leaves aid in weight loss and improve digestion. They are also beneficial for skin and help cure respiratory problems. Lime leaves are rich in Vitamin C and flavanoids, which make it a good herb for treating various critical diseases. With our skill in this domain, we trade and supply a wide range of nutrition enriched Lemon Leaves. Among the health benefits of lemon highlights its value as anticatarrhal, benefits blood circulation, capillary protector, antihypertensive, antispasmodic, diuretic, applied to the skin and mucous membranes is antibacterial and antifungal. Dry Lemon Leaves (Pharmaceutical Grade) "A Grade"
Kaffir limes are mostly used for their fragrant leaves, a bit like bay leaves- they impart a rich lime fragrance to cooking or if bunged in a jar of salad dressing for use on fish or cold veg. Chives it is most often used in curries, marinades, stews and sea food soups as it needs liquids to bring out the essential oils in it. Valued for its exotic citrus fragrance, it is commercially used in soaps, perfumes etc. 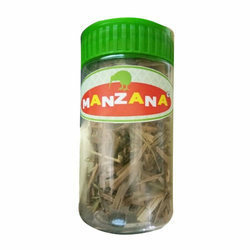 It is used in teas to combat depression and bad moods, fight fever as well as nervous and digestive disorders. Chives It is most often used in curries, marinades, stews and sea food soups as it needs liquids to bring out the essential oils in it. Valued for its exotic citrus fragrance, its is commercially used in soaps, perfumes etc. It is used in teas to combat depression and bad moods, fight fever as well as nervous and digestive disorders.